"Even considering that no one is fit to be president ... Hillary Clinton is especially unfit. No one who has done what she has done as a government official should be rewarded with power." Gulch member ycandrea asks, "Why does the GOP think we need to be involved in war all the time? "And the Gulch was more than happy to weigh in! What if Bernie Sanders Wins? In light of recent poll numbers, awebb asks "Since a real Galt's Gulch doesn't exist for us to retreat to, I'm curious... if Bernie Sanders wins the White House, what are you going to do?" This Valentine's Day, forget flowers and chocolate. Show that special capitalist in your life how much you care with a beautiful Atlas Shrugged inspired gift. For a limited time save 20% on the Rearden Metal bracelet for her and d'Anconia dollar sign money clip for him. Order today and have them in time for Valentine's Day! 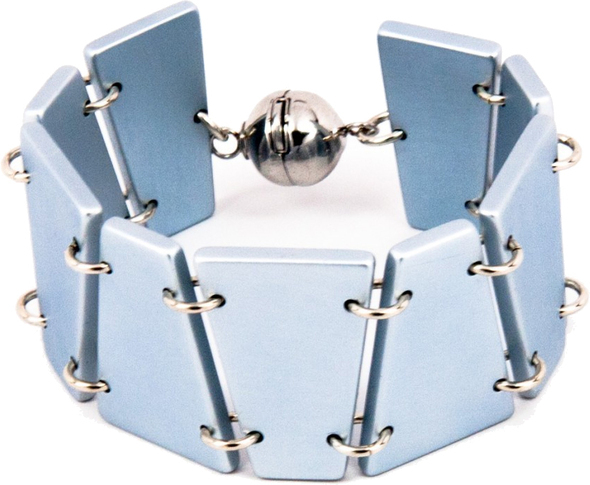 Get your Rearden Metal bracelet now. Get your dollar sign money clip now. 3 new props from the Atlas Shrugged movie trilogy are up for auction on eBay. James and Cherryl Taggart's wedding rings! Check out the 3 new Atlas Shrugged movie props and start bidding now.